1. Service of a 3 day pay rent or quit premises notice. 2. The filing of an action in Superior Court after the three days have expired. The filing fee for a Show Cause Hearing is $110.00. 3. Service of this action upon the tenant. 4. A waiting period of at least 6 days after service is made before a judgment can be entered. 5. These matters are heard every Friday in Thurston County Superior Court. If the tenant appears and argues against the eviction, the court determines whether the tenants owe money for back rent and whether a Writ of Restitution should be issued to give the rental back to the landlord. 6. Service of the Writ by the County Sheriff on the tenant. 7. A waiting period of a minimum of 3 days before the Sheriff returns to allow you to physically evict the tenant. 8. Movers must be standing by on a date that the sheriff can be present while the tenant’s items are moved from the rental. This process can become quite costly and I urge landlords to take the process step by step to conserve their money. My usual fee for a “48 Hour Letter” to the tenant, with a summons and complaint is $50.00. Should the tenant not move out after receipt of such a letter, a landlord has little choice but to file in Superior Court. The filing fee for this is $130.00, the service fee is $25.00 and 1.25 hours of attorney’s time are required for a total of approximately $360.00 for the second step. A hearing is scheduled for the first Friday after six days. 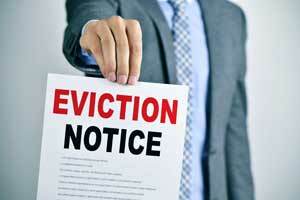 If the tenant still remains on the premises, a Writ of Restitution must be issued. The court filing fee for the Writ is $20.00. The County Sheriff charges $90.00 for delivering such a Writ. The attorney’s fees for preparation of the Writ and setting up service of the Writ are $150.00. The total cost for the Writ of Restitution is $250.00. If the tenant still does not move, you must arrange a physical move out directly with the sheriff. 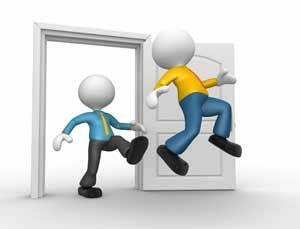 You will need someone present to move the tenant’s items out of the house and you will need to change the locks. Litigation Fees after First Court Hearing – $175.00 per hr.